The Mayapuris new album ‘Mridanga’ keeps beating along. 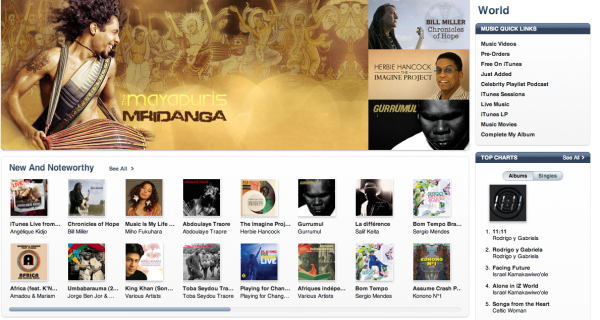 iTunes is now featuring Mridanga in the top slot on the World Music page. Sorry we can’t link directly to it, but click on the “Music” drop down when you are in the iTunes store and select “World”. This album produced by multi-faceted Kirtan artist Gaura Vani and includes collaborations with Jai Uttal and Benjy Wertheimer. Make sure you catch The Mayapuris on tour now in North America. Their tour schedule is posted here.